A one size fits all beard comb. The wide teeth detangles and grooms long and short beards without damaging the hair. A one size fits all beard comb. The wide teeth detangles and grooms long and short beards without damaging the hair. The comb stimulates the follicles for a healthy full looking beard. The comb’s small size makes it easy to carry in the pocket or in the washbag and allows you to comb all the hard to reach angles. 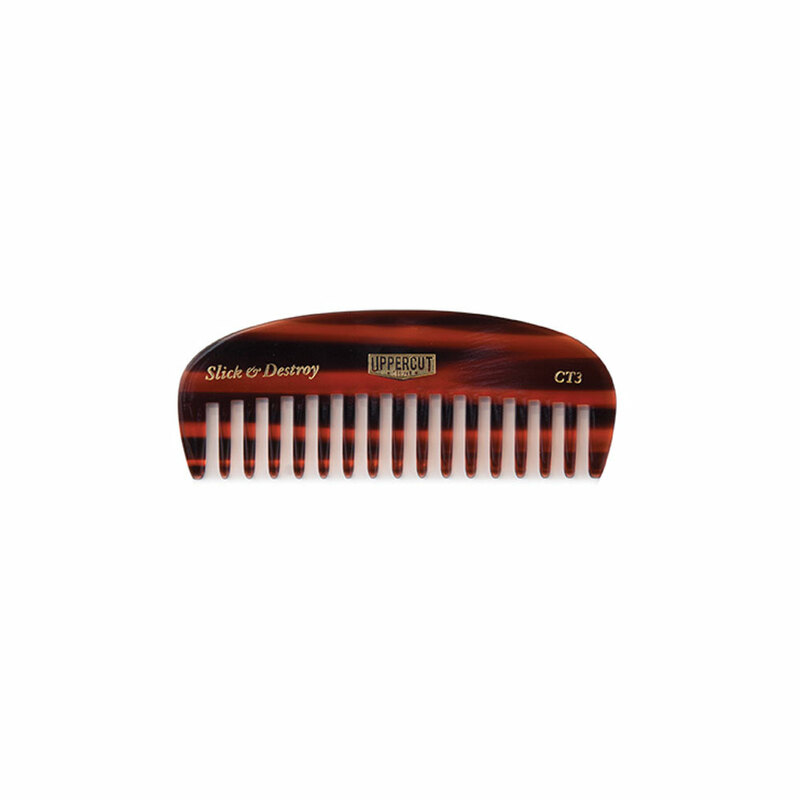 Made from a Plant Cellulose Acetate (A Non-petroleum based plastic) this comb is extremely durable and long lasting.